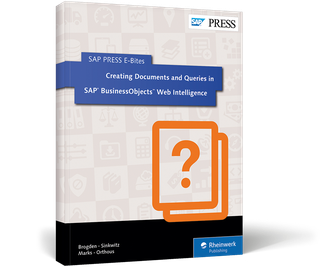 Your first step to creating brilliant Webi reports! 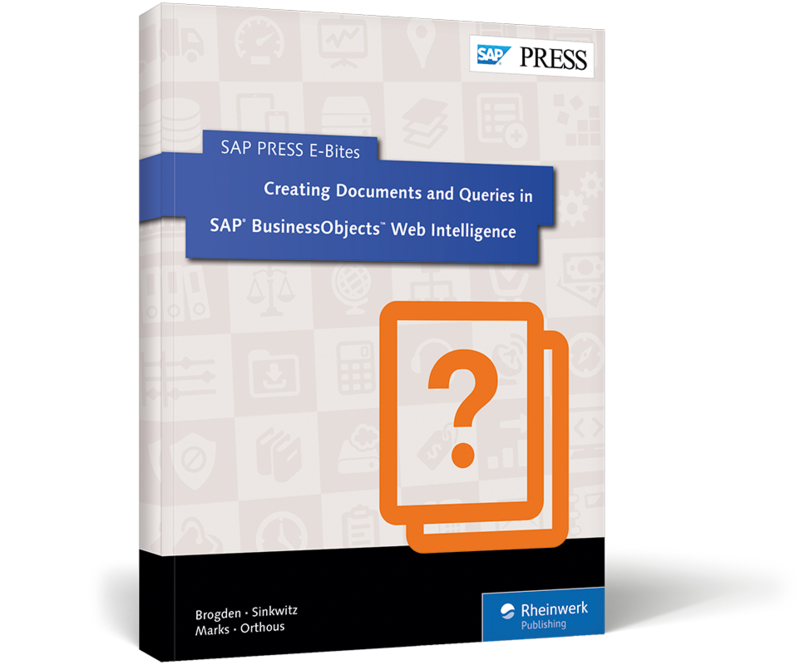 If you've got Webi, you've got a lot of power at your fingertips. 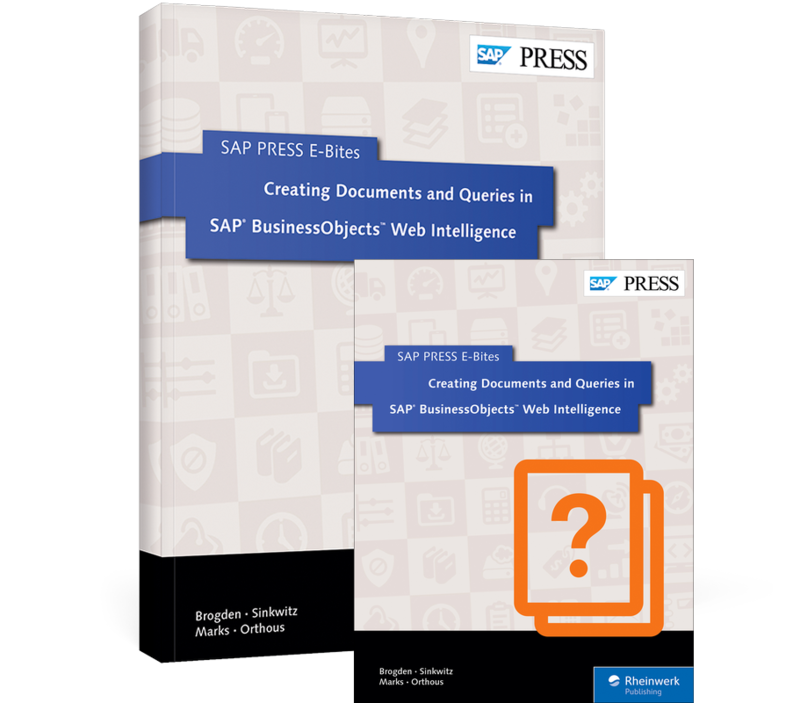 Learn to create documents and queries that will form the backbone of your reports. 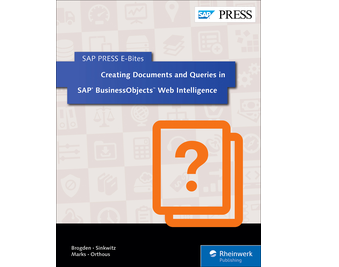 Connect to data sources, master the Query Panel, and create, add, and edit queries. With this E-Bite, you're well on your way to the wide world of Webi! 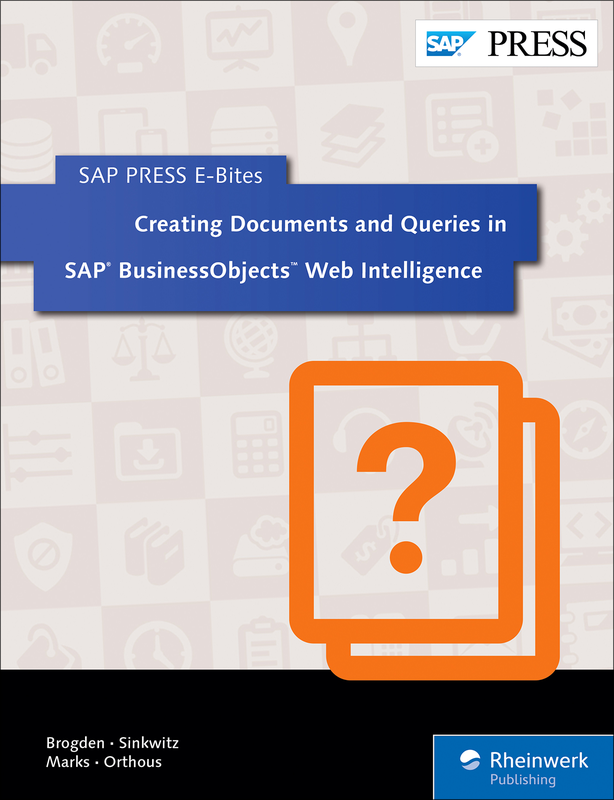 This E-Bite was originally published as Chapter 3 from the previous edition of SAP BusinessObjects Web Intelligence. Jim Brogden has been a business intelligence developer and designer for over 10 years and specializes in data visualization. Heather Sinkwitz is a certified SAP BusinessObjects instructor with over 10 years of business intelligence consulting experience. Dallas Marks is a certified SAP BusinessObjects instructor with over a decade of experience, and is a frequent presenter at SAPPHIRE NOW, ASUG’s SAP BusinessObjects User Conference, and ASUG chapter meetings. 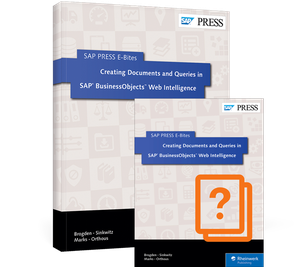 Gabriel Orthous is an expert on the SAP BusinessObjects tool suite and has over 10 years of business intelligence experience.